LG has started pushing out the Android Security Update for the month of October to its G6 (H873) units in Canada. As of now, the update is rolling out to Telus users, but it should also be available to other carrier variants of the device as well. Arriving in with firmware version V15c-OCT-26-2017, the update brings latest security update and other improvements. 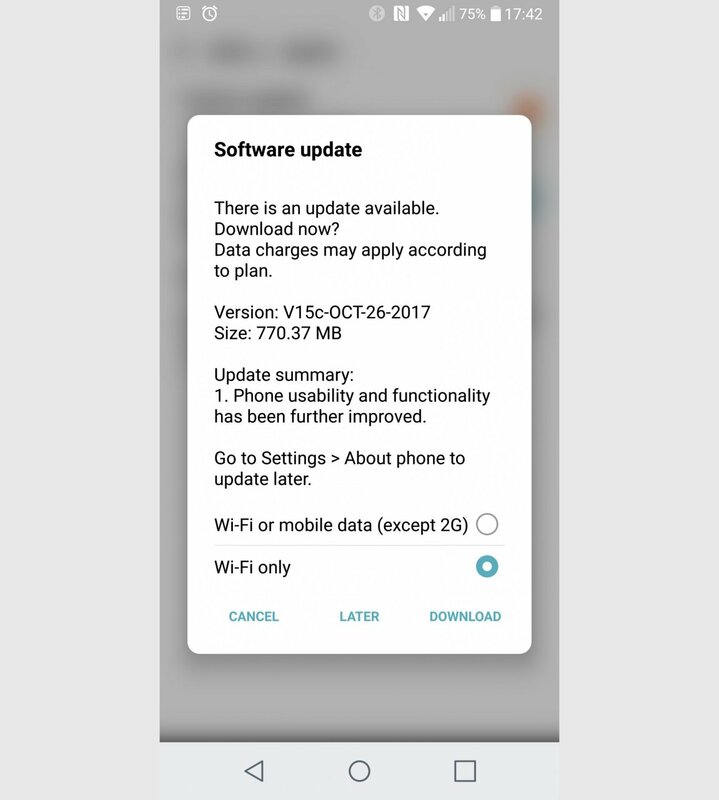 The update weighs in at around 770MB in size, the update changelog also mentions “Phone usability and functionality has been further improved”, but the people who have installed the update claiming that the update also brings the October Security Patch along with it. As usual, it’s an over-the-air update will take time to reach every unit so be patient. Meanwhile, you can head over to the Setting menu of your device to manually check for the update. Reminder: Before downloading the update make sure you are connected to a decent internet connection and your device is charged up to 50 percent. It’s also come to hear that the Android Oreo v8.0 update for LG devices is very close, we may see a public release by the end of this month or by the first week of December 2017.